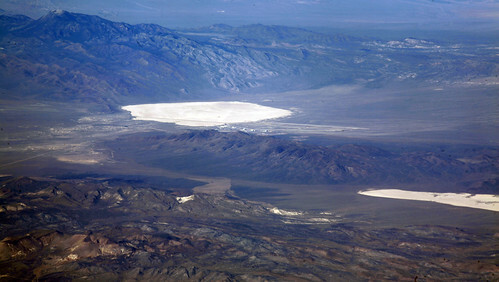 Tomorrow, secrets of Area 51 will be revealed. Okay, not quite all. But more than you’d expect. The International Spy Museum is hosting a special (and free!) documentary screening and author discussion tomorrow evening at 6:30 p.m. in conjunction with the National Geographic Channel. Annie Jacobsen is a contributing editor at the Los Angeles Times Magazine and an investigative reporter whose work has also appeared in the National Review and the Dallas Morning News. Her two-part series “The Road to Area 51” in the Los Angeles Times Magazine broke online reader records and remained the “most popular/most emailed” story for ten consecutive days. Her findings resulted in both a new book, AREA 51: An Uncensored History of America’s Top Secret Military Base, and a companion National Geographic special, Area 51 Declassified. Jacobsen has been busy prepping for her book tour, which kicks off at the Spy Museum, but managed to squeeze off a few answers to WeLoveDC regarding Area 51, its purpose, and what really went on at America’s most well known Top Secret facility.